Just as maritime stakeholders’ had been querying the imports of the first ever maritime forecast released by the Nigerian Maritime Administration and Safety Agency (NIMASA) in 2018 which predicted industry growth by 2.5 – 5% within the period 2018-2019 and failed, the agency has given indication of releasing yet another forecast for 2019-2020. Checks on the performance of the first forecast showed that whereas NIMASA had projected a growth of 2.5-5 per cent, figures showed abysmal activities due to poor port infrastructure including port access roads and failed promises in the empowerment of indigenous shippers vide the disbursement of Cabotage Vessel Financing Fund (CVFF). Within the period of the forecast, contrary to predictions that attacks and sea piracy will drop, the Nigerian waters saw the worst series of attacks and kidnappings. Though the Director General of the agency, Mr. Dakuku Peterside, sometime last year assured that the disbursement will begin before the end of the year, findings showed that it never took place. However, speaking ahead of the event, Peterside, reiterated the Federal Government’s determination to diversify the economy, saying the maritime sector remains a viable alternative in this effort. Dakuku said there was need to keep stakeholders and investors abreast of trends in the industry to serve as a guide. Though he was quick to assure stakeholders of the determination and commitment of the Agency towards its mandate of promoting and regulating shipping in the industry, he remained mute on whether CVFF will truly commence this year or not. 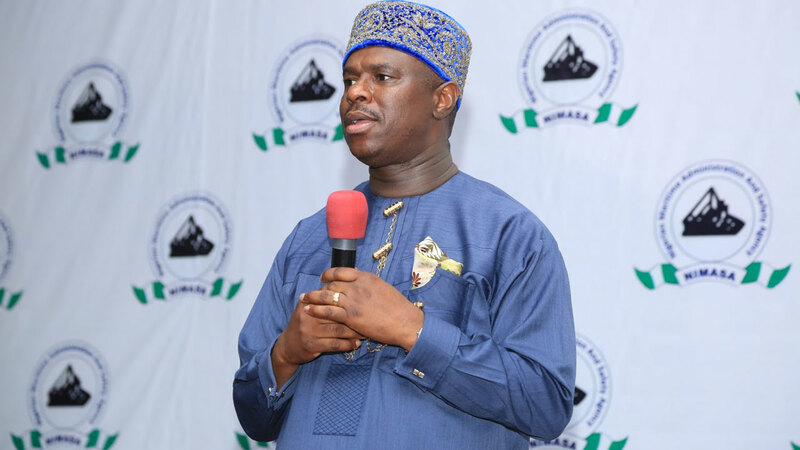 NIMASA boss further disclosed that the forecast will focus on the core mandates of the Agency, which include Maritime Safety, Maritime Security, Marine Environment Management, and Shipping Development. This, he said, is with the ultimate goal of utilising the opportunities that abound in the maritime sector in line with the concept of the blue economy, an emerging global concept emphasising better exploitation of the ocean resources for the preservation of the marine environment. Is it that FG’s hands are so tied in sanctioning Discos for not investing much?